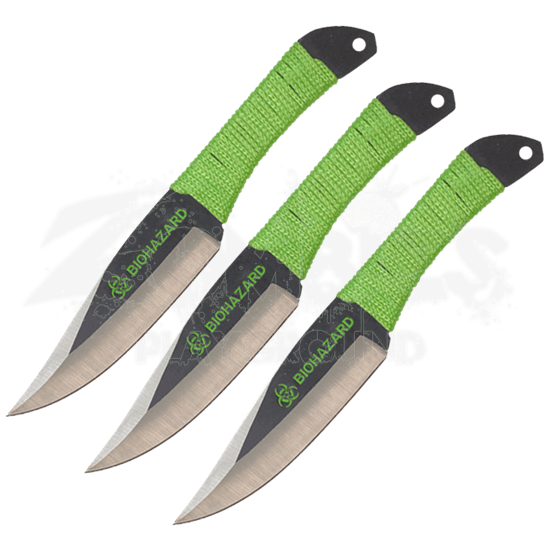 Forged in anticipation of the worst case scenario, the 3 Piece Biohazard Cord Wrapped Drop Point Throwing Knives provide the perfect opportunity for all kinds of survivalists to improve their technique and strengthen their skills! This three piece knife set is built from 440 stainless steel in the classic drop point silhouette to guarantee a sure stick. The knives have been finished in a two-toned look to add a touch of refinement, the sleek silver edges sitting prominently against the black base. As if to remind us of the coming apocalypse, a brilliant green biohazard symbol has been engraved into the blade of each knife, matching the nylon cord that wraps around its handle. The durable nylon sheath that accompanies these knives. 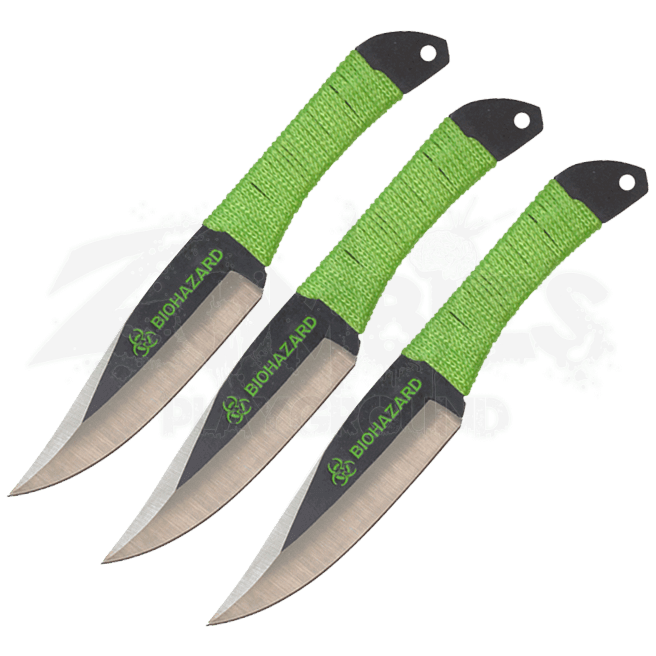 From practice to competitions to an inevitable catastrophe, there is no wrong time to arm yourself with the 3 Piece Biohazard Cord Wrapped Drop Point Throwing Knives!